Ole Gunnar Solskjaer has warned his Manchester United players that he is ready to make tough decisions about his squad for next season. 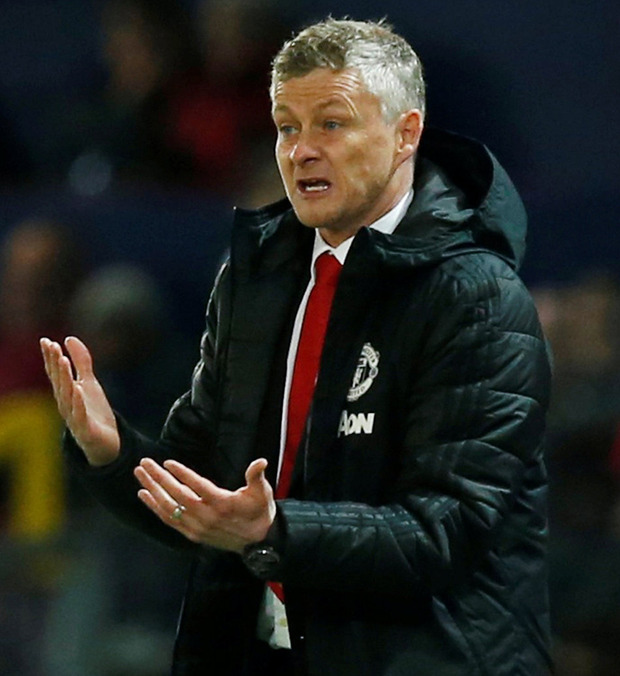 United's form under Solskjaer has nosedived of late, with four defeats in their last five, including Wednesday's Champions League quarter-final reverse against Barcelona. The scale of the task at hand may only now be clear to Solskjaer (right), who had previously resurrected United's campaign, presiding over 14 wins in his first 17 games. The United manager confirmed yesterday that, as expected, club captain Antonio Valencia would be leaving upon the expiration of his contract this summer. Ander Herrera is expected to join Paris Saint-Germain on a free transfer despite Solskjaer's claim that talks between United and the midfielder are "ongoing" and other players are likely to follow the Spaniard through the exit door. "It's going to be survival of the fittest or survival of the best," Solskjaer said ahead of West Ham's visit to Old Trafford today. "That's how ruthless we have to be. "We need players here who are going to be able to take us forward. That means culture in the dressing room, what we do every single day here to make us challenge again. "Liverpool and City are too far head at the moment for what we like. We played against a Barcelona team that sets the standard in European football. "We're under no illusion it's going to be hard work and there will be some tough decisions made by me, Mick (Phelan) and the club." Matteo Darmian and Marcos Rojo could join Valencia and Herrera in making way for new rivals, but a bigger decision will centre on the future of Alexis Sanchez. United's highest-earner has done little to justify his salary since moving to Old Trafford from Arsenal last year and the club could be tempted to cut their losses. "We have a certain standard here," Solskjaer added. "We got a great boost, now (it's) more challenging times with the results and performances. "You want to see players step up and say now: 'I want to be part of this'. You saw Fred and Scott (McTominay) the other day took the mantle up. That's what we expect from all the players. "When you win 5-0, or when you're 3-0 up, or when you win five games on the bounce it's easy. It's easy to be a footballer. "But it's not always easy to be a footballer. You get through tougher times. You'll lose games and your character is revealed." Turning to speculation linking Paul Pogba with Real Madrid, Solskjaer insisted that the midfielder was happy at United. "There might be a campaign, there might be press. You never know what there is. But in my talks with Paul he's always been positive. "I don't see a difference in him when I chat to him. He's focused on performing and he's a proud player. He always gives his best." Pogba was criticised in some quarters for his performance against Barcelona. And, having scored nine goals from midfield in his first 12 games under Solskjaer, the Frenchman has not found the net in his last eight, missing a penalty in the defeat of Southampton. However, Solskjaer defended Pogba's recent run of form, claiming that it was also up to others players to perform as United look to recover from four defeats in their last five. "There have been different players in different periods that have made the difference. It's not just about one player. It's not just about Paul. Roy Curtis EVEN in a state of mortifying disrepair, with the checklist for anarchic enfeeblement almost entirely ticked, Manchester United’s status in Irish life remains undimmed. Independent.ie Newsdesk Manchester United manager Ole Gunnar Solskjaer believes he is still the right man for the Old Trafford job despite the dramatic drop in results since his permanent appointment.